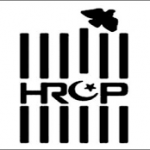 In a statement issued today, HRCP has said that it ‘stands in solidarity with both Dr Mallah and Jilani. The HRCP said it was troubling that an unverified news item implying that Dr Mallah expressed “anti-state” sentiments was broadcasted. In addition, the FIR lodged against Mr Jilani under the Prevention of Electronic Crimes Act (PECA) 2016, accusing him of casting aspersions on state institutions, is baseless and absurd. The Commission urged media houses to institute higher reporting and verification standards, especially given that civil society voices are already subject to intimidation and harassment at the slightest provocation. The HRCP also demanded that the FIR against Jilani be quashed.